It's always good to meet internet friends in real life. 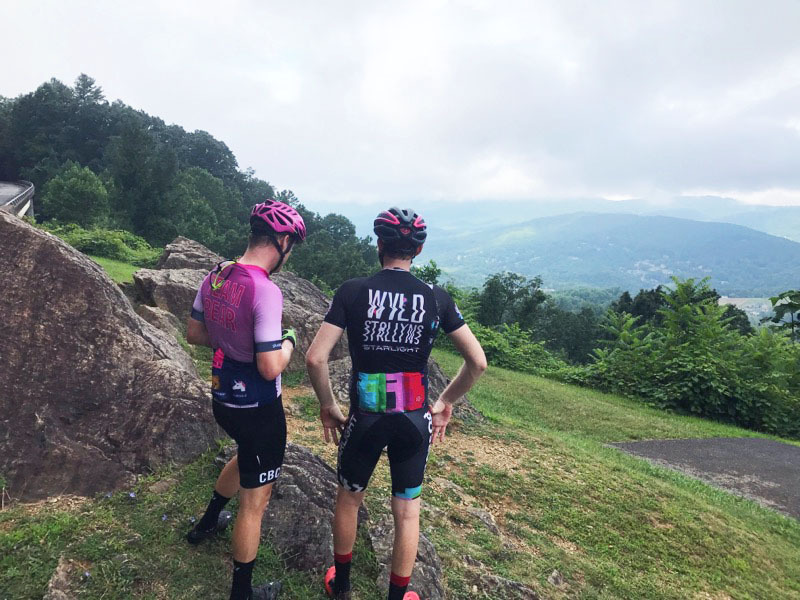 A few weeks ago when Philly Williams from Wyld Stallyns emailed to tell me he was riding through on a trip of the Blue Ridge Parkway with a friend I had knew I wanted to join them for a bit. They were heading South so the natural turnaround is the top of the Bent Mountain climb. His friend turned out to be JP Rutlege. 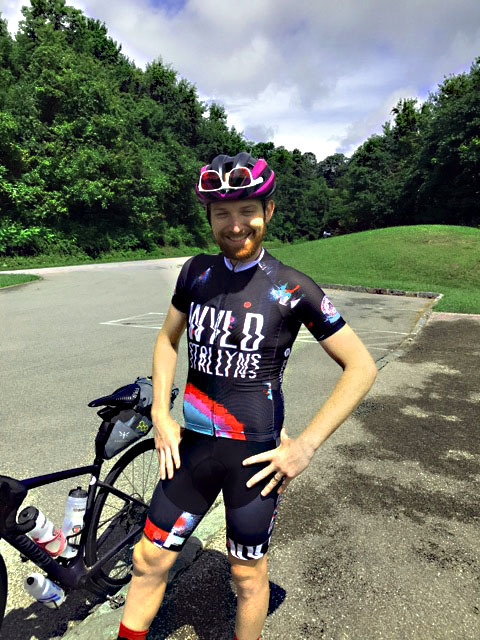 I had never met JP but he works at Carytown Bicycle Company with a few guys I know well. First we had to get over Mill Mountain. Before you even hit the Parkway you climb about 700 feet. After you hit some good rollers then 5 miles of steady climbing up Bent. 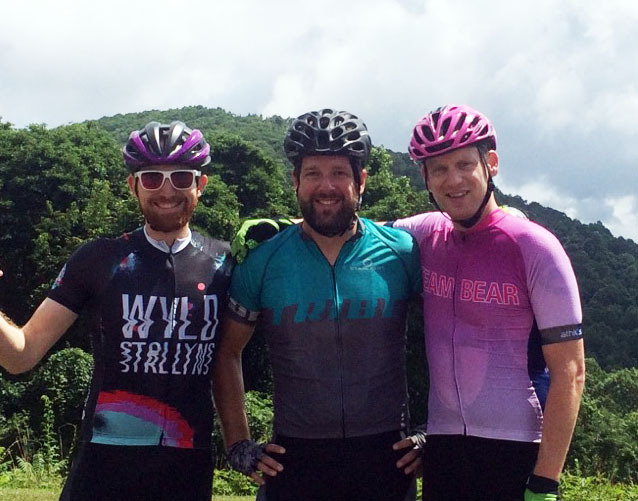 These guys put in some huge miles that weekend.